I read in binges. Get me on a topic or author I like and I can’t shake it. Two are dominating this summer’s reading list: Patrick Leigh Fermor and the Civil War. 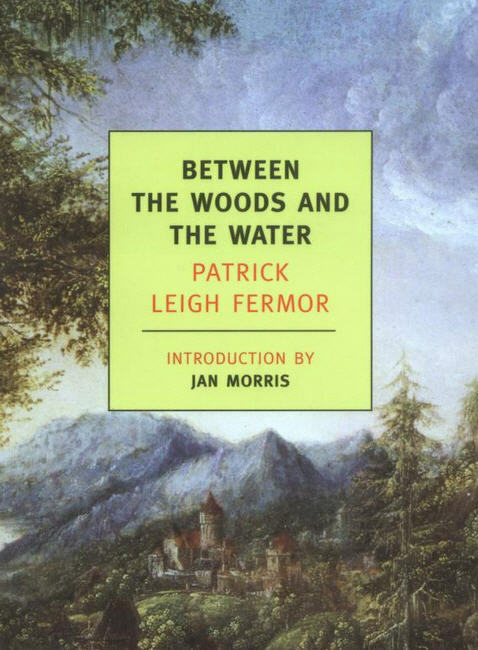 Patrick Leigh Fermor was an English travel writer who passed away in June at the age of 96. I’d never heard of Fermor until I read his obituary, but being a fan of the travel genre, especially as embodied by English writers such as Rebecca West, Wilfred Thesiger, Bruce Chatwin and Robert Byron, I ordered hard copies of three of his books and am glad for it. Fermor gained fame in World War II when he kidnapped a Nazi general on Cyprus and smuggled him away to Egypt, an exploit which was made into a movie. But his travel writing is his legacy, started when he was expelled from an English prep school for holding the hand of a local merchant. In the early 1930s he decided to make an adventure out of his failure and walked across Europe from Holland to Constantinople. The interesting perspective of the two books is that they weren’t written when Fermor was young and fresh from the adventure but fifty years later, when as an old man he had the perspective and erudition to recall the adventure of a younger man who, unaware at the time, was walking through a Europe essentially unchanged from the culture of the Hapsburgs, one soon to be destroyed by the rise of the Nazis he brushed elbows with in German beer halls. Fermor is the consumate raconteur, a great tippler, scholar, and wit, and any fan of travel writing will be rewarded by seeking out these two books. A Time of Gifts: From the Hook of Holland to the Middle Danube: the first volume which covers his perambulations from Holland through Austria. Between the Woods and the Water: the second volume covering his walk (and horseride) through Hungary and Rumania. In the early 1990s, as my writing/journalism career came to an end and I transitioned into the bureaucratic world of management when I started Forbes.com, my former boss, William Bernard Ziff, Jr. off of Ziff-Davis was retiring and selling his technology publishing company. The editor of Forbes, Jim Michaels, was fascinated that Ziff had amassed a fortune in the personal computer industry without making PCs and assigned me to profile Bill as he exited the publishing business. I negotiated with Greg Jarboe, Ziff’s PR man, to do a story about Ziff’s personal interests as his business interests were off limits because the company was being shopped and there were fears that any disclosures in the press would queer the deal. I spent a day at Ziff’s fantastic estate in Pawling. New York, touring his masterwork, an immense arboretum/garden that mimicked the flora of the Eastern seaboard from Canada to Georgia along its north/south axis. Ziff was a protean polymath — generally regarded as the smartest man in the room — and along with the work of Albert Einstein, gardening (especially naturally occurring plants), and sports, he was a big scholar of the Civil War and Abraham Lincoln. We got on the subject of the War Between the States, and I lent him a copy of my great-great-grandfather’s Civil War memoirs. After the story was published (and the dust settled from the focus on his business interests, not his gardening passions), Bill invited my wife and me back to Pawling for a weekend to talk about the Civil War. He urged me to read Shelby Foote’s three-volume masterpiece, The Civil War: A Narrative, and now, twenty years later, I am doing so, having nearly completed volume one which spans the origins of the war to the end of 1862 and the terrible autumn of Antietam. I owe Ziff a posthumous debut (he passed away in 2006), as Foote is a lyrical writer, a novelist turned historian who imbues what was a somewhat dry and arid subject into a truly beautiful work. I now rank it as a classic in American literature.